A bold new direction for the Xavier Institute! In the mutant-controlled 'House of M' reality, the New Mutants clash with S.H.I.E.L.D. 's Hellions over the fate of the human resistance. But when the real world is restored, almost all of Earth's mutants find themselves depowered! 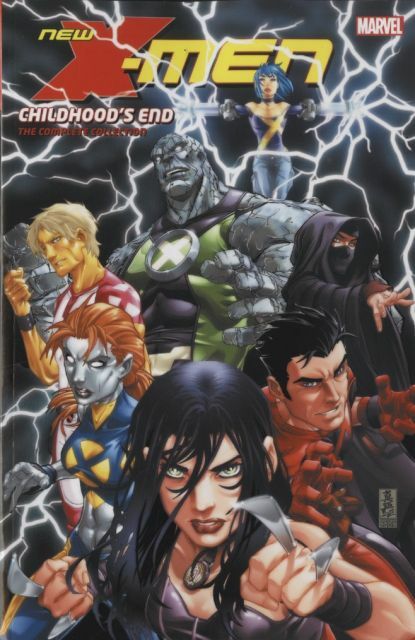 With their species all but gone and emboldened enemies looming on all sides, the remaining New X-Men close ranks and form a new squad - but what about their suddenly human friends and classmates? And what happens when X-23 arrives at the mansion? The rules have changed, the safeties are off - and Reverend Stryker has found a terrifying new weapon in his holy crusade against mutants! The New X-Men will be battered, beaten and worse, and suffer assaults on all fronts. Can this untested new team summon the strength to survive and triumph? Collecting NEW X-MEN (2004) #16-32.